Sports Ball Rubber Ducks. 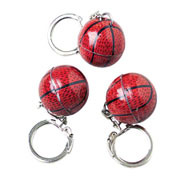 Choose from any of the four styles: Baseball, Soccer, Football, or Basketball. 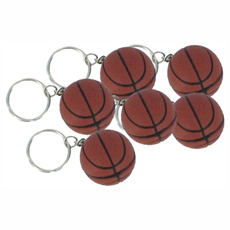 5 pack of Basketball Whirls hanging decorations. Hang them from the ceiling, the rafters, whereever you want to set a festive mood…. 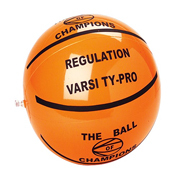 16″ Basketball Inflate says “The Ball of Champions” and “Regulation Varsity Pro” on it. 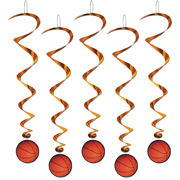 Great for sports themed parties – hang them up or just toss them around…. …vinyl. 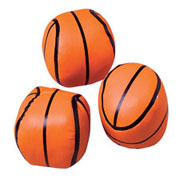 They could be used as a “Hackey Sack”. 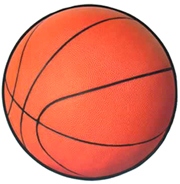 This one is a Basketball. 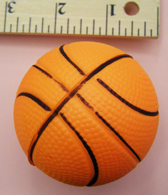 WARNING – CHOKING HAZARD – Item may contain small parts. Not for Children under 3 years…. 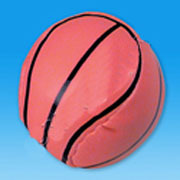 This basketball would be great as a party favor. It’s 4 Inches big, is soft and made of vinyl. Kids of all ages might like to toss this one around…. 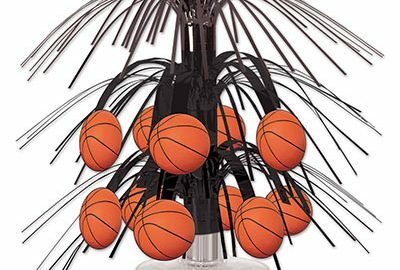 Here’s a good party favor for your basketball party. Great little gift when you want to give out something at the end of the year to each player….